Home » Training » Is Overtraining A Myth? Millions of people around the world have invested heavily in their fitness. Most of them have gym memberships while others have militaristic discipline in their workout routine. 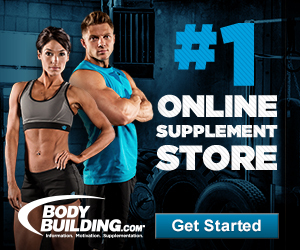 The vast majority of fitness enthusiasts get nutrition and workout tips online. They watch videos of demonstrations to get new concepts as well as learn how to do different types of exercises properly and safely. There are also health and fitness articles on the internet which give fitness enthusiasts tips on how to get fit fast. Most of these “advisers” have one thing in common – they put a lot of emphasis on the perils of over-training. They tell their audience or readers not to over train or exercise excessively to avoid injuries and poor results. Fitness enthusiasts who have attained results which the average person dreams of, however, offer a different advice – no pain no gain. So, is overtraining a myth? The answer is it depends on who you ask. Overtraining is normally characterized by a decrease in energy levels as well as reduced mental and physical performance accompanied by mild depression. Fitness enthusiasts normally blame these signs and symptoms on over-training. The truth, however, is that reduced physical and mental performance is mostly due to poor nutrition, poor sleeping habits, stress at work and a poor workout routine. These factors can add up and lead to symptoms which people associate with overtraining. Obviously, you can expect to feel completely worn out after running a few miles every morning, going to your demanding job and going to the gym after work for an intense weight training session. If the same routine is repeated three or four times a week, you are bound to get worn out and start experiencing symptoms of overtraining. Overtraining is a myth or misconception developed by individuals who after following a strict workout routine do not get the desired results. Since they think they did everything right, the only logical explanation for their mediocre results, according to them, is that they over-trained. The truth, however, is that their weight-training program and nutrition is to blame. There is nothing on Earth that’s as amazing as the human body. A six pack, bulging chest and shoulders, monster thighs and biceps the size of a football are simply muscles which have adapted to their function. Muscles are made up of cells which have mitochondria, the cell organelles responsible for producing energy, as well as many other types of cell organelles. When you exercise on a regular basis, you will be increasing the body’s energy demand. Therefore, more cells will be produced and their size increased. The efficiency of mitochondria when it comes to producing energy will also increase. As the cells adapt, the size of muscle tissues will also increase, giving rise to the amazing physique of a bodybuilder. In other words, the body and all its organs, and tissues, can adapt to increase strength and endurance. That said, the only way to get that amazing physique you’ve been dreaming of is to work hard and eat right. Overtraining is just a myth, but this does not mean that you cannot wear yourself out, get injured or become mildly depressed due to lack of results. In fact, while overtraining may be a myth, you can easily sustain injuries if you do not exercise properly. You can easily design a training program which can give you positive results. If you are looking for amazing results, you should consider downloading a professionally-designed training program. There are many wonderful programs you may want to try. Some are free while others are available at a small price, which is usually negligible considering the wonderful results you can expect. You can find a list of our recommended training programs here. Before you begin any type of exercise, it is always important to warm up and do some stretches to prepare the body for what is to come. When you start exercising, make sure you do the workouts properly. You should always have a training partner when you’re weight-training for safety reasons. 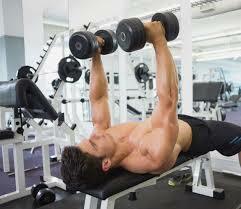 Remember to also lift weights which you can manage comfortably. Ideally, you should start weight-training with lighter weights and increase the load with subsequent training sessions until the body is well-adapted to handle heavier weights. Lastly, always end your workout sessions with a warm down and stretches to bring the body back to normal operating conditions. Most exercise programs also come with a nutritional program. 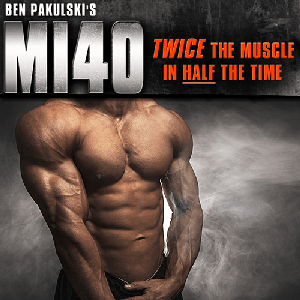 During the muscle building/fitness program, the body will be adapting by growing muscles in different parts of the body. 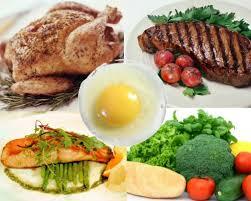 This means, the body will require a lot of nutrients to replenish the cells, tissues and organs. For instance, more proteins, carbohydrates, fats, salts and water will be needed to build new cells and grow existing muscle tissues. Ideally, you should follow a nutritional program recommended by successful bodybuilders, professional trainers and nutritionists to ensure you get the best results possible. Your diet should also include a variety of fruits and vegetables. Furthermore, you should drink at least two liters of water per day. This is to replace water lost through sweating and urination and provide body cells with the essential ingredients for cell replication and growth. Having enough restful sleep is good for both your physical and mental health. If you did not know, the body grows when you’re sleeping, so you need to sleep as much as possible for optimal muscle growth. Ideally, you should get at least 7 hours of uninterrupted sleep every night. After beating up your body during the day, getting enough sleep will allow the body to relax and muscles to grow. While overtraining is a myth, fitness enthusiasts should also know that it will take time to get the desired results. If they follow these simple tips, they can expect positive results as early as the second week.